Proud to be part of Deezer Next! 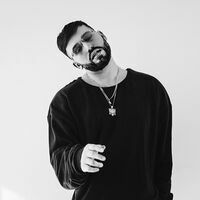 Gashi - Born in Africa, bred in Brooklyn by parents of Albanian decent, Gashi (pronounced "Ga-Shee"), is a rare breed of artist that blends rapping and singing into a style that not only incorporates NY culture but also music elements from around the world. (P) 2019 RCA Records, a division of Sony Music Entertainment.